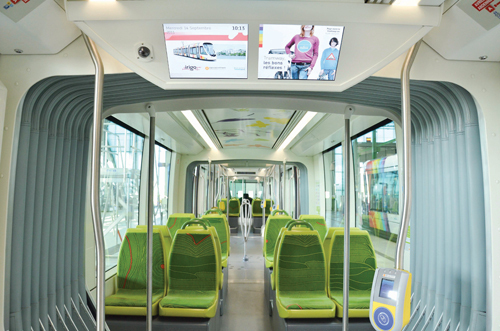 Intelligent Transport Systems (ITS) in India have got a fillip with Mysore being chosen as the model city for implementing new technologies for Public Transport. A French company, Lumiplan, is introducing a unique Planning and Scheduling solution, HEURES, for KSRTC?s ITS implementation in Mysore City. Vidyottama Sharma speaks with David Moszkowicz, Managing Director of Lumiplan ITS India. Why did Lumiplan think of coming to India? What potential do you see here? Lumiplan started 40 years ago in France, delivering information systems for big public areas starting with ski resorts. We were the first to use LED technology to inform the ski users about open slabs, weather conditions, etc. Then, over 20 years ago, Lumiplan turned to public transport in which the number of passengers to be given information is huge. 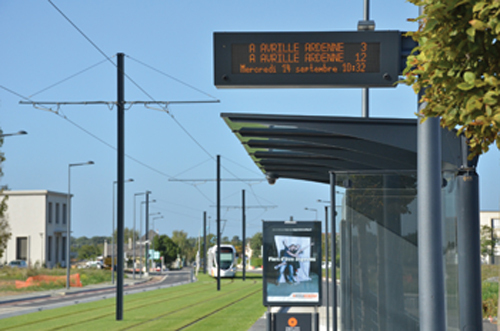 We were very focused on the French market for a long time, delivering solutions and services to deploy and integrate ITS environments for Public Transport Operators. 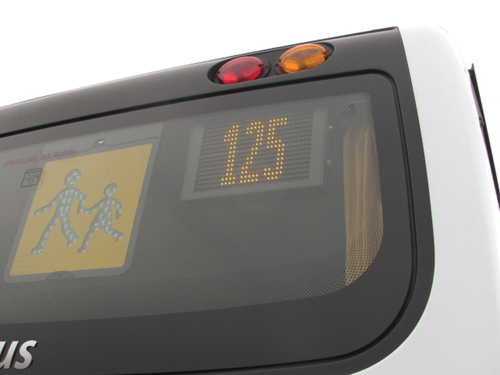 We have very good market share in Europe in LED displays and ITS systems like Passenger Information Systems, Fleet Tracking and Planning & Scheduling for buses, tramways and metros. We have a unique software solution, called Heures, to optimise and plan the operations. With it, you can produce the timetables, regulate the trips of all the vehicles and plan the crew allocation. We have few competitors worldwide for this ?niche? product. India?s heterogeneous traffic does not create a problem with advanced Planning and Scheduling Software ? only, it has to be included in the system. We have done projects in Europe, Malaysia, Africa and South America and can clearly say that India?s traffic is not so different. For example, Delhi has less traffic jams than Paris! The challenge here is to be able to include traffic conditions (depending on hour of the day, day of the week or periods of the year) into the planning algorithms. Huge statistical data has to be treated in order to adapt the timetables to the ground reality. Ten years ago, owing to the saturated European market, the President of Lumiplan decided to go for international development. Five years ago Lumiplan started its commercial operations in South East Asia from Singapore and we are already providing Planning and Scheduling Solution extensively in Malaysia (more than 2000 buses managed in Kuala Lumpur, Penang and Johor Bahru). The potential of the Indian market is huge as new technologies begin to be implemented here and as Public Operators such as KSRTC begin their search for products and expertise that have already been proven to work, in order to adapt them in Indian context. Another indicator of the potential of the market here is the number of buses that are planned to be purchased in the coming years and the metro projects that are being implemented. What main products/solutions are you looking at introducing in India? Our very first product being introduced in India is a niche product ? a Planning and Scheduling product called Heures. It is a very specific product ? for planning and optimising the public transport operations. Heures provides the transport operators a single environment to create their range of transport options effortlessly. It integrates the tasks of bus scheduling, crew scheduling and resource management. With Heures, we are starting a pilot Study with KSRTC (Karnataka State Road Transport Corporation) in Mysore City. Some French experts are already in India to study ways of implementing this software in the Indian context and demonstrate its benefits. The study will consist of adapting the right approach in the Indian context, deploying the software, training KSRTC staff, and then measuring the benefits on the field. It has already started in November 2012 and will last around nine months. In India, these technologies are being implemented since a very short time. The main problem I see here is the process adopted to choose the right solution providers?to give the right tender requirements and to choose the right bidder?by the public authorities. For bus operations, planning is crucial in India. Sometimes, operators use simple excel sheets for producing the services given to the commuters (the timetables and trip schedules) and the vehicle, and crew allocation is mainly done on paper at a depot level. The planning process, thus, does not lead to the optimum utilisation of buses and resources. What is important to note here is that it is not commuter-centric, which means that the process does not take into account the actual demand of Public Transport. For example, in a PPP model, the private operator will be paid based on commercial kilometres (and not on the revenue); it can lead to unnecessary increase in the frequency of the buses when a lower frequency would have been acceptable by the commuters (during pickoff). Our Heures solution can also be used by Indian authorities to measure the Service Level Agreement (with respect to frequencies and schedule adherence) agreed into with the private operator. The new approach and software we are proposing aim to focus the planning process on giving the best services to the commuters by taking into consideration many parameters (from traffic conditions to bus load). Adapting the transport offer to customer needs is the first goal of implementing a Planning and Scheduling Solution. It includes specific expertise, complex data treatment and advanced algorithms. That is why we want to introduce the planning and scheduling software in India. Planning and Scheduling is the entry point of Lumiplan in India then? Yes, this planning approach is where Lumiplan comes in because it is a niche solution, and because KSRTC has accepted to conduct the pilot study ? for ITS application in India — in Mysore. What we are introducing in the Indian market is more than a product because it is backed by a strong expertise which is based on many projects that have been implemented all other the world in the past many years. We are of course in touch with all the actors (public institutions, operators, industrial partners, research institutes?) to convince everybody that it is time to use this kind of Planning and Scheduling solution and expertise in India. When an operator replaces his manual approach with the Planning & Scheduling solution, the efficiency of his fleet utilisation can increase by 10 to 15%. That means that introducing this kind of solution will allow the operators to reduce the number of vehicles and crew for providing better service to the commuters. The Return of Investment is fast and measurable here. Will you restrict yourself to Planning and Scheduling in other cities? Planning and Scheduling Solution will be our first focus for this year. We hope that this kind of Solution will be more and more included in the future ITS requirements in India. I would like to point out here that Planning and Scheduling is a software solution with no hardware embedded in the vehicles. So it is very easy and fast to implement in the Indian context. But we do have other ITS products and expertise to offer in India such as Terminal Management, Fleet Tracking or Passenger Information System (on-board and on-ground). What major problems do you face in India? One is too much cost effectiveness. And? In India, these technologies are being implemented since a very short time. The main problem I see here is the process adopted to choose the right solution providers ? to give the right tender requirements and to choose the right bidder ? by the public authorities. For example, we observed that the recent tenders for ITS implementation were more focused on the hardware part of the project and some software components were not detailed in the specifications at all. We believe that ITS solutions are complex and need specific expertise and a long process of R&D. Lumiplan is developing Heures Planning & Scheduling Software and other ITS solutions since 20 years. This is why our solutions can sometimes be more costly than the ones proposed by new players in this field. But buying the less costly solution (a short term decision) can lead to more costs later if the solution is not adapted to the actual needs. What I am trying to say is that the L1 strategy is not always the less costly approach in a long term vision.